The “Melgarejo” Extra Virgin Olive Oil is considered as one of the best Extra Virgin Olive Oil in the world by expert tasters of the strictest panels. The deep knowledge of the product and its development, as well as a passion for offering exceptional quality extra virgin olive oils to exquisite palate, have made the dream come true. Currently, Melgarejo contributes to the socio-economic and cultural development of this region. They are a team of highly qualified experts who combine innovative technology with a real respect for tradition and history. All their products, from the most basic ranges to the Premium oils- made of different olive varieties, are recommended for any culinary project, obtaining dishes with a healthier and enriching character in every way. The development, commitment, enthusiasm for a well done job and the passion which they produce their oils with, have made Melgarejo to be rewarded with numerous awards at the most prestigious national and international olive oil contests. Always looking forward, with a strong commitment and concern for research, development and innovation, they are permanently improving the quality of their oils, trying to give the most effective service to their customers. Now, their products are offered through this website, with a fast and effective answer, making it convenient, from the mill to your door anywhere. The mill has been evolving over the years. Since 1998 we have a new mill and a bottling plant with the latest technologies used today in the olive oil industry, all in an extension of one acre. All this provides the excellent conditions of preservation and bottling we need, in order to offer the market a product of the highest quality. It all began back in 1780 when our great-great-grandfather in facilities of 1,000 square meters and a machinery of the time, consisting of a millstone and a beam press, led to what today is one of the most prestigious and veteran olive oil companies of the area, in whose charge his granddaughter, and later their grandchildren, the current owners of the mill continued. In order to follow the activity pursued for more than two centuries by our ancestors, our parents, Francisco Melgarejo and Juana Cordero, set up Aceites Campoliva, SL in 1995 and it is now in our hands to go on with the legacy that they left us. The excellent quality of our oils comes from the unique conditions of climate and soil where we grow our olive trees. Our mill is located in Pegalajar (Jaén), where there are traces of settlement since prehistoric times. In the Muslim era, it was a border, being a mandatory crossing for those nations who lived across the Iberian Peninsula. This territory was also a place where they had a commercial activity and paid the taxes for their trading transactions. There is some documentation from that era which proves the Cuchillejo (the most important olive grove of our family) as the spot where those taxes were paid. Besides, there are some evidences that show the existence (back in the XV century) of one of the first olive mills in the area. The mill has been evolving over the years. Since 1998 they have a new mill and a bottling plant with the latest technologies used today in the olive oil industry, all in an extension of one acre. The climate in this area is largely determined by the peculiar structure of the Valley of the Guadalquivir, which, thanks to fact it opens out to the ocean, allows cloud masses to enter, crossing the corridor from West to East aided by the dominant winds and causing important rainfall during the Spring and Autumn. Regarding rain measurements, two periods with maximum rainfall may be observed in November-December and in March-April. The driest period (summer) is characteristic of the Mediterranean climate and according to Professor Rivas Martinez this means that we are located, without any doubt, in the optimum climate due to its geographical location between the countryside of the Guadalquivir River and the Sierra Morena, for obtaining oils with a special aromatic quality owing to the fact that the average annual temperature is around 16 and 18º C, with an average rainfall of 550-700 mm/per year. The fauna is rich and varied. Amongst the mammals there are singular species such as the Egyptian mongoose, the only European species of mongoose, and the lynx, which is in danger of extinction. The presence of large herbivores such as common deer, fallow deer and roe deer, encouraged by mankind have caused these areas to be used as hunting ranges. The occasional appearance of wolves means this is the southern-most stronghold of the species on the Iberian Mainland. It is worth mentioning the presence of two particularly vulnerable species when talking about birds: the imperial eagle and the black vulture, which both nest in this type of forest. SAOV's Pouchao Estate is located near Abrantes and has its origins dating back to the eighteenth century. This area is in the heart of the Ribatejo region, which has a history of producing the best Portuguese olive oils thanks to its typically Mediterranean climate and hot summers. Our olive grove is divided between the traditional galega olives and the irrigated varieties cobrançosa, picual, arbequina and cornicabra. Of our 256 hectares 60% are irrigated and the balance operated as a dryland farm. We carefully manage the irrigation of our groves to ensure that the water needed to maintain productivity does not jeopardize the quality of the oil. The large area planted with cobrançosa and galega olive trees makes SAOV's Pouchão Estate the largest producer of DOP Ribatejo olive oil. At SAOV we fuse the freshness of a young team with the heritage passed down through generations, providing the energy and motivation to strive for continuous improvement. We push the processes and technology to the limit each year, while preserving the preserve natural freshness of our olives. The result of our effort has been recognized year after year at major national and international competitions. Built in 2009, our mill was designed by the team at SAOV in the light of experience in previous mills. The building is divided into more than 20 work zones with a total area of 1500 m2. We feel we have created the intimate environment necessary to pay close attention to detail, with excellent results. All activities, including the receipt of olives, are conducted inside the building and therefore benefit from temperature control, hygiene, comfort, and occupational health and safety. Food safety is a major focus and all materials used have appropriate certification of suitability for the food industry. The technology installed can produce high-quality oil at the volumes that the market requires. At SAOV quantity is compatible with quantity. Aceites Alonso, is made by the Alonso family, of Spanish origin. They are found in Chile, in the region of O'Higgins, climatic conditions similar to those of the Mediterranean, that allow to elaborate an extra virgin olive oil of superior level. With Alonso oil, you bring to your table the best of our nature and their work. Aceites Alonso stands out for its fresh and herbaceous aromas, products of a quick collection and delicate preparation, with fruity and delicate flavors with a bitter and spicy very balanced leaving a pleasant sensation to the palate. The process of oil Alonso begins from the search of the land in Chile with the suitable climatic conditions for the cultivation of the Olive tree. Once these lands were found, the varieties that best suit the climate and type of soil were chosen. This is why their field has more than seven varieties that produce oils of the highest quality and for the most demanding palates. In the world of gastronomy as well as in life, obsession leads to perfection. So it was with Alonso Obsessión, the obsession to create one of the best oils in the world. This obsession resulted in a new quality standar in an exclusive selection of the first ultra premium premium oil with fruity and delicate flavors, with a bitter and spicy that reflect the identity of Alonso Obsessión, creating an experience and sensation to the hard palate of forget. 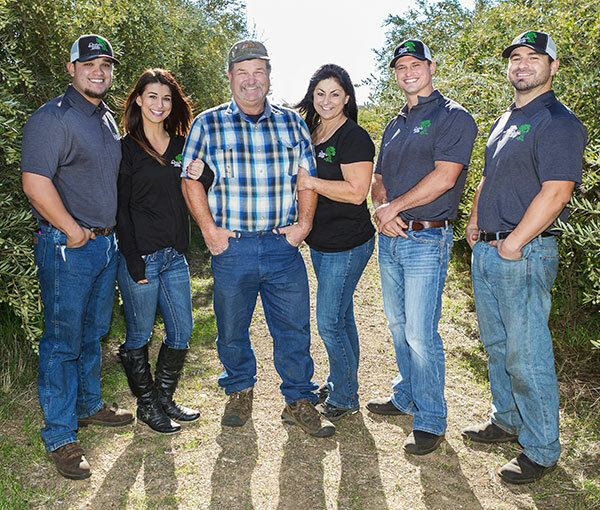 At Coldani Olive Ranch they are literally a "Family Business". Their immediate family along with their spouses and a few little ones is what encompasses the company; handling every aspect from tree to bottle. 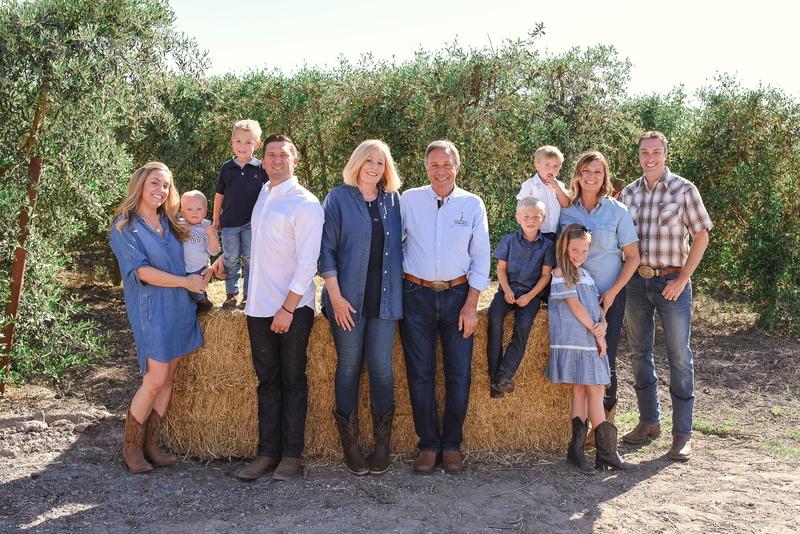 Growing the olives, processing them into oil, bottling, packaging design, marketing, sales and shipping are just a few of the tasks they split up as a family. When they say they know each and every bottle inside and out, they mean it, and they feel the passion they have to produce a quality extra virgin olive oil resonates in the finished product. All of their extra virgin olive oil is estate grown; and they don't use any pesticides and their product is organically and sustainably produced from their family owned and operated farm. Calivirgin olive oils have consistently medaled in all of the national competitions making them one of the most awarded companies in the nation; popular for their fresh, aromatic, fruity flavor that is perfect for dipping but mild enough to use as a culinary staple in your kitchen. Their flavored olive oils have been milled the exact same way as our premium extra virgin olive oil, except they have been crushed together with fresh produce/herbs. The result is a naturally flavored oil with no additives or preservatives. At Calivirgin, we believe our olive oil is so good it should be on the wine list. Enjoy! All of their Extra Virgin Olive Oils have been Seal-Certified by the California Olive Oil Council (COOC). A Seal-Certified olive oil offers the highest standard of quality to American consumers with positive taste elements, no taste defects, andless than .5% free oleic acid, as determined during a blind tasting by a qualified panel of experts. Seal-Certified olive oil also comes from olives that are mechanically extracted without chemicals or excessive heat. As stated by the COOC, “Trust the Seal - Your Extra Virgin Guarantee.” Any oil that does not bear the seal has no guarantee that it has been tested to meet any standards at all as there is currently no mandatory testing for quality of olive oil sold in the United States. The Polit Family is proud to introduce their newest product, Organic Extra Virgin Olive Oil. They are a small family owned / operated farm that was established in 1983, on the fertile land of Colusa and Glenn County. They started out growing organic rice and shortly after, moved into milling, packaging and shipping. 30 years later, we ventured into growing organic olives for the production of organic extra virgin olive oil. Fresh from the groves, to our brand new, Alfa Laval olive mill; we are able to control every aspect of the process to achieve the highest quality organic EVOO. We hope you enjoy our excellent flavored Organic Extra Virgin Olive Oil. Nestled in the Sacramento valley, the orchards hug the eastern foothills of the Pacific Coastal range in Northern California. The Sacramento Valley provides ideal conditions for growing olives. With our warm summers and mild winters our orchards thrive in a climate similar to that of the Mediterranean. The foothills provide a soil slightly higher in gravel content which helps with water drainage. Olive trees need water but their roots don’t like to be soaked for long periods of time. The orchard is comprised of super high density olive trees. These aren’t your grandfather’s knotty, gnarled ancient olive trees. A super high density orchard is exactly what the name implies. Our trees are planted in rows on a trellis similar to grape vines. Each tree is five feet apart with row spacing at 13 feet. They purposefully trim the trees to a height of 8 feet enabling our harvester to drive over the top of each row to pick olives. Imagine a taller, more bushy grape vineyard and you’ll have a general idea of Super High Density….or just look at the picture. With close to 300,000 trees to look after it’s no small task taking care of the orchard. Being certified organic is something they are extremely proud of, but it does mean we take a few extra steps in the care of the rees. They are constantly mowing in between the rows to keep weeds down, no herbicides there. There’s a little pest that can create a big problem for olive growers, aptly named the Olive Fruit Fly. This little guy burrows into the flesh of the olive to lay its eggs, potentially ruining entire crops given the opportunity. Without the use of pesticides management of the Olive Fruit Fly can be difficult, but we have few things working in our favor. With super high density there isn’t much of a shade canopy giving our orchard a hot, dry climate unsuitable for the Olive Fruit fly. Also, their drip irrigation system waters the base of the tree not the entire orchard helping to cultivate that drier climate. AND, drip irrigation aids in water conservation, Double Whammy!! Boundary Bend Limited, established in 1998, is a leading player in the global ‘modern’ olive industry and is Australia’s largest olive farmer and producer of extra virgin olive oil. They own 2.2 million producing trees on over 6,278 hectares of pristine Australian farmland. 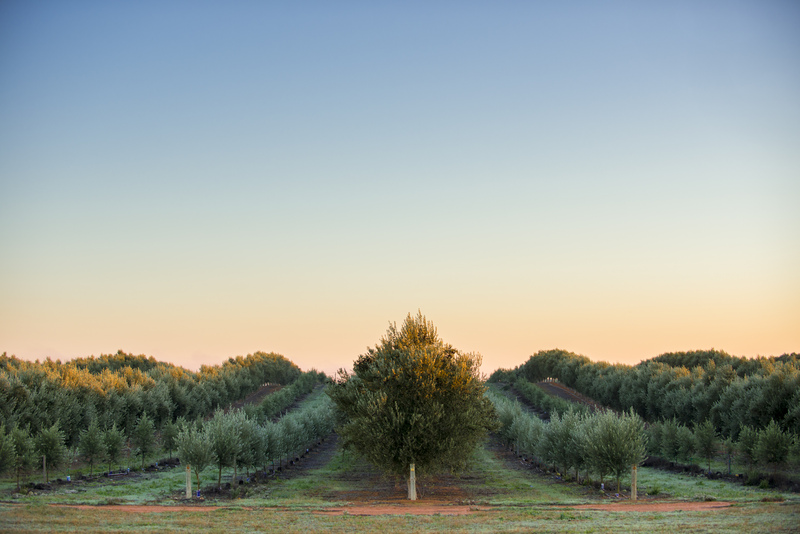 Our world class olive groves, located in the Murray Valley region of north-west Victoria, are flagship groves in the Australian industry and have been awarded ‘Olive Grove of the Year’ by the Australian Olive Association in 2005 and 2008. They are the leading marketer of premium Australian extra virgin olive oil and own Australia’s two top-selling homegrown olive oil brands, Cobram Estate and Red Island. 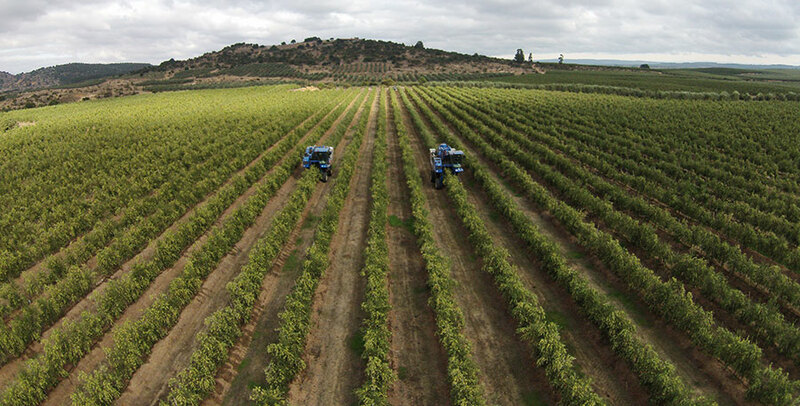 We are also a manufacturer of olive harvesters, owners of Australia’s largest olive tree nursery and olive oil bottling, storage and laboratory facility, and innovators in all aspects of the “new world” olive industry. In July of 2014, Boundary Bend purchased a 9 acre industrial property in Woodland California for the construction of an olive oil mill, bottling facilities, olive oil laboratory, and administrative offices. This site will serve as the initial production facility for Boundary Bend in California. Subsequent facilities are planned in other areas of the state as production volumes increase. The city of Woodland was selected due to its geographic proximity as an agricultural hub and is ideally located for transportation of products to the West Coast and broader US market. The launch of US operations comes after several years of analysis of the rapidly growing US market, and aligns with the companies mission to produce high quality, locally grown Extra Virgin olive oils in key markets. US consumers are showing a preference for higher quality Extra Virgin olive oils as a healthy enhancement to their everyday culinary experience. At Boundary Bend we believe we can replicate the success of the vertically integrated Australian business model in the US, taking a conservative, sustainable, and long term approach to the development of the US business strategy. We are excited by the tremendous success achieved to date by the Californian olive industry and look forward to working with the growers and processors to grow the demand for high quality Californian Extra Virgin olive oils. With an unwavering focus on quality, innovation and customer satisfaction through all facets of the business, Boundary Bend is rapidly developing a global reputation as one of the leading players in the modern olive industry. Critical to our success has been our ability to consistently produce premium quality extra virgin olive oil in large and growing quantities. The result is a business that is unsurpassed in the olive industry and is gaining recognition as a significant player in the international industry.